Comic Book Brain Splatter: Brain Splatter: Has DC/WB Kept Us All Looking the Wrong Direction? Brain Splatter: Has DC/WB Kept Us All Looking the Wrong Direction? Today's casting of Gal Gadot as Wonder Woman created quite a bit of buzz on Twitter, as to be expected. The same story also gave us a couple of other tidbits on The Flash being in the film and actor Callan Mulvey being up for the role of the film's villain. All in all a great news day for DC/WB in advance of the debut of Barry Allen on their hit series, Arrow. 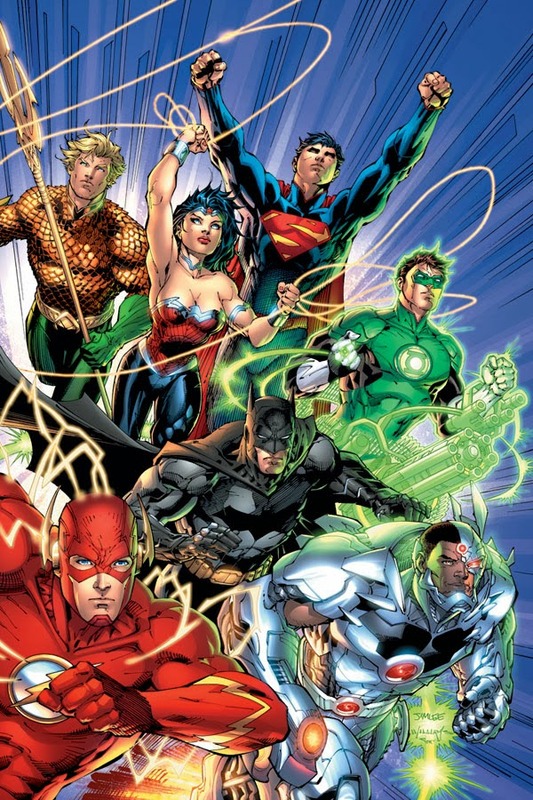 With Arrow in great shape, a Flash series debuting next year and a slew of other projects in various stages of development and the Big 3 of the DC comics universe all headed to the big screen in 2015, things seem to be going VERY well for DC Entertainment and fans have to be very satisfied. However, are fans so satisfied that we are missing what is right in front of our faces? "@THR: Warner Bros. Finds Its #WonderWoman for #BatmanvsSuperman http://t.co/B508FSJERe" you mean for their #JUSTICELEAGUE movie. The El Mayimbe scoop to which Alter refers was from long before Ben Affleck was involved in the film. In fact, the scoop mentions possibly bringing back Christopher Nolan and Christian Bale to the DCCU. While that obviously never panned out, the story about which El Mayimbe speculated fits the specs of the script we do know: an older, established Batman who may not quite trust the super-powered alien who just destroyed the biggest city in the world. It's entirely possible that DC is going forward with the story just with Affleck and Snyder in place of Bale and Nolan. Man of Steel left a very open road ahead for the DCCU. A solo sequel would follow well as would the Batman vs. Superman film. However, a Justice League film fits right in as well. A simple template already exists with the New 52 Justice League comic. It sets up the world against the heroes and it shows the mutual mistrust the heroes have for one another, especially Superman, of whom Batman is exceptionally wary. Warner Bros. is going to make a Justice League film at some point. Back in July, rumors swirled that it would be in 2017 but those rumors were never addressed at SDCC as it was believed they would be. Is it possible that while we've all been preparing for Batman and Superman to appear together for the first time on the big screen that Zack Snyder and David Goyer have been prepping a Justice League film? The easy answer is yes, it is possible and, for the time being, it's even probable. If WB is not making a Justice League film, they are certainly running the risk of over-populating their film with heroes unless, of course, they are just cameo roles. So there's that and plenty to chew on when speculating on whether or not the 2015 film will be the Justice League film for which we've all been pining. Of course there are questions about the rest of the team: will Green Lantern appear (he has to, right?) Aquaman? Obviously we will find out sooner than later as the film starts shooting very soon and cast the size of the one that would be necessary to make a JL film would be too hard to hide. Either way this one falls, I'm going to be very happy. Whether right now or down the road a way, we'll see a Justice League film and DCCU to run right along with the MCU. I'm not one to make it a competition between the studios. From my fan perspective, I'm perfectly happy to let both studios keep pumping out film about the subjects I most enjoy. For similar speculation about the topic, head over to Superhero Movie News, where Knight Gambit examines the same topic with his own insight.